When an auto accident occurs, it’s always common to find injuries, damage to properties and so on. The pains of a car accident are hugely felt by the victims who have to cough out money for their injuries and repairs of their properties. 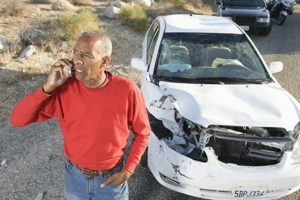 If you or someone close to you has been distraught due to the problems of a car accident, you should consider hiring an auto accident attorney in Murrieta, CA to help you set your life back in motion by getting you adequate compensation. Rawa Law Group invites auto accident victims in Murrieta to work with us for an effective legal representation. Our over 50 years of combined experience indicates that we are well versed in these cases and we work aggressively to ensure our clients have the best legal representation and the maximum legal compensation allowed. Working with us ensures you get results as our auto accident attorney(s) in Murrieta know the tact and strives to achieve the desired results. On the payment front, Rawa Law Group only accepts payment for work done successfully with adequate compensation paid to you. This means that there are no upfront fees and no hidden charges. Our legal services are ethical and our renowned accident attorneys have a reputation to protect. Give us a trial today and enjoy getting your life back in order with a decent settlement fee awarded you. Take advantage of our free consultation to get started today.